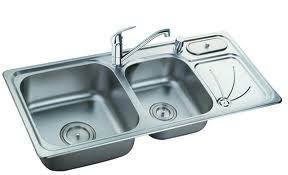 The stainless steel sink of the kitchen bears a lot, being one of the most used plumbing fixtures of the house. The excessive water running throughout the day on the sink and the left over litter from dish washing leaves the shiny little thing worn out by end of the day. 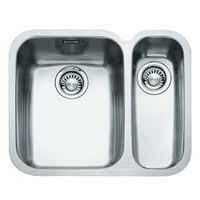 Stainless steel sinks are low maintenance if taken care of in proper manner. One finds 24 hours too short to meet up to everything in order to balance in today’s fast life. So we provide you with some of the easiest and fastest ways of cleaning the sink without putting much physical effort either. Find out solutions of all the stainless steel sink cleaning and maintenance issues in the article below. Stains are the most common problem that stainless steel sink faces. There can be different kinds of stains on the shimmery, darling friend of every kitchen-person. Different stains have different solutions to get over with. Hard water stains : Apply plain lime juice or raw vinegar on the stained places and leave like that for a few minutes. Make sure that the citric acidic liquid is not left unattended too long as that can harm the stainless steel. Rub the affected area with a dry and soft piece of cloth or sponge. Then water wash the area and wipe it dry. Paint stains : Apply a mixture tartar cream and hydrogen peroxide in 3:1 ration and leave for couple of hours to dry up. Then wet a piece of soft cloth or sponge and rinse the dried pack. Wash the sponge thoroughly and rinse the area again. 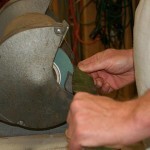 Make sure to rinse the part with a dry cloth after cleaning. Time worn stains : Apply any spirit based cleanser on the affected area and rub with a dry piece of cloth. The tartar-hydrogen peroxide mixture procedure can also be tried. But make sure to wet and wipe the place once, then wipe it dry. Burn stains : Apply a mixture of baking soda and warm water on the affected area. Leave it for about 15 min. Wet a piece of soft cloth or sponge and wipe the area. Then water splash the sink and wipe it completely dry. 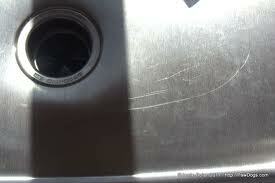 Scratches are the next most common agony that the stainless steel sink goes through. Minor scratches : A coating of pumice powder can help hide the fine scratches. Major scratches : Try sanding the affected area and then sand the near-around zone also lightly to camouflage the effect. Wet the area that is rusted. Sprinkle a bit of creamy based commercial cleanser product on the stained area. Scrub the area with a fiber scrub pad. Water-wash the scrub pad after scrubbing off the rust stained part and wipe the zone with the wet scrubber. Wipe the sink dry with a dry piece of cloth after cleaning. Discoloration of the stainless steel occurs after surviving a considerable time span. Do not be harsh on the shiny piece to replace it immediately. Remember that if that sink has passed the test of time without troubling much then that means the quality of steel is very hardy and likely to sustain some more time. Try curing the discoloration malady first before thinking about replacing. Block the strainer of the sink. Fill it with warm water. Add fresh lime juice in warm water. Let it soak in the liquid mixture for half an hour or more, depending on the level of discoloration. Drain the water after sometime. Scrub the sink with a soft sponge. Water-wash the sponge and wipe the sink wet. Then wipe it absolutely dry, missing no trace of water. The reasons of the glittery, stainless steel sink losing its signature shine are all the crisis conditions that are mentioned above. It is important to refurbish the steel sink after every cleaning session. If a creamy cleanser is used during the cleaning session then the shine is restored to quite an extent in the process itself. After cleaning with acidic or spirit based cleansers it is essential to use another product in order to restore the shine. Sprinkle a few drops of baby oil or olive oil on the sink. Rub the entire sink with a dry and soft cloth with the oil and see the sparkly wonder. Strainer of the kitchen stainless steel sink is the most vital place. During dish washing in the sink, some of the left over materials get stuck in the strainer causing water logging in the sink and initiating germs to house-in. Therefore, cleaning the strainer is one of the most essential job in order to keep your kitchen germ free. Take the strainer off from the sink. Let the water run and drain via the tube without the strainer for a few seconds. Soak the strainer in warm water and lime juice mixture for half an hour. Prick it with an old toothbrush after taking it out from the warm water. Soak the strainer in plain warm water for about 15 min. once the pores of the strainer are properly pricked and completely cleaned off the minutest food articles stuck in them. Then wipe it completely dry with a piece of soft cloth and place it back in the sink. It is not only about the spoiled looks of the stainless steel sink but the hygiene related concerns are even more alarming. Best would be to use commercial disinfectant sprays available in market that are customized for stainless steel sinks. If out of the disinfectant spray then normal medicated anti-septic liquids can also be used. Wet a piece of cloth or a sponge with running water. Sprinkle a few drops of anti-septic liquid on it and wipe the stainless steel sink nicely. Wipe it dry after disinfecting the sink. Try to handle the stainless steel sink of the kitchen in a healthy and hygienic way during daily use. Maintaining the sink by following some simple daily care tips cut the cleaning time really short and keeps it fresh and hygienic without much effort. 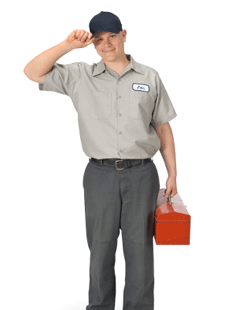 Follow these simple regular maintenance steps. Do not use any metal based scrub pad to clean the sink. This will avoid scratches. Do not leave cleansing liquid on the metal for any longer time span than being suggested in the article. In case of using any commercial cleansing product, strictly follow the instructions given on the pack. Try to keep the strainer of the sink always clean and litter free. Do not put hot cooking pans on the sink. Do not cut, chop, dice and slice the food stuff on the steel sink side-plates. Do not leave wet pieces of cloth or sponges in the sink. Wipe the sink dry every time after using or cleaning. Use warm water instead of too hot water to clean the sink. Chlorine based cleansers should be ideally avoided. Always wipe the sink thoroughly after sanding it. Do not let the steel dust settle down to create further scratches. Do not let dirty utensils pile up in the sink for a longer time span to avoid germs. Always rub the stainless steel sink with a dry piece of cloth immediately after sprinkling the oil to restore its shine. 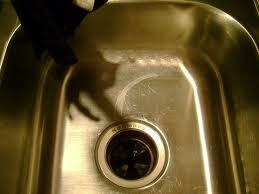 Do not let the oil settle down in order to avoid dirt particles sticking to the greasy parts of the sink. Most importantly, make sure to clean the sink once in a week to keep it clean, shiny and germ free. These are the points we could figure out to clean and maintain the glistening, stainless steel sink. Got any more suggestions of cleaning and maintaining the must-have-in-kitchen stainless steel sink? Please share your views and suggestions with our readers.